Yes, India needs proper sanitation facilities but at the same time toilets need to be maintained to make them usable. 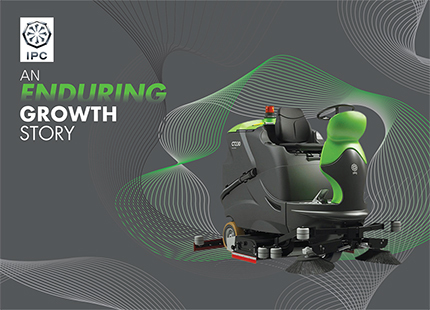 When Cannon Hygiene of the OCS Group began operations almost 60 years back in the United Kingdom, their prime objective was to provide the “most hygienic washroom service in the World”. 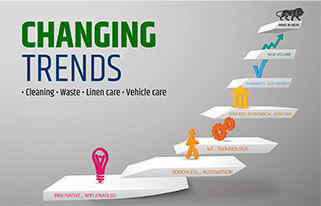 Operating on the Indian soil since 2001, Cannon Hygiene India Pvt. Ltd, today has every product and service for a clean and hygienic washroom. Anything that is scarce is kept/used judiciously – sadly this is not true in the case of the existing toilets in India. Most of these are not maintained and lack hygiene amenities. This is not just with public toilets but also with those in offices, schools and other areas. “India is lacking not only in washroom hygiene but also in general hygiene awareness and health hazards,” says Prashant Sule, MD-Cannon Hygiene India. 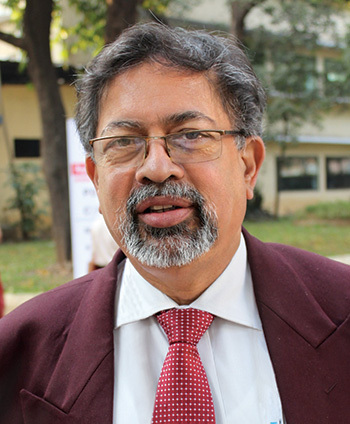 “It is true such statements are made by employers as they are oblivious to the contamination sanitary pads can spread. They have the potential to spread illness if no appropriate disposal system is in place. The bad odour that emanates from such practices is bacteria. Potent bacteria which can increase over 1000 ppm cause infection. Sanitary waste breeds pathogens and microbes which can multiply 10 times each hour leading to spread of infections. The bacteria can spread in the entire washroom, can get sucked into the AC ducts and in turn get blown out into the entire office area. These infections can cause problems withskin infections, respiratory tract infections, stomach problems and urinary tract infections especially in women. Flushing sanitary pads down the W.C can cause blockages in the pipes and drains leading to the escalation of increased maintenance costs and plumbing problems. At the macro level, the waste can cause significant environmental hazards as this waste is not biodegradable. It can cause serious threats to marine life, birds and animals, when they mistake this waste as food. Good washrooms are no longer just desirable, they are absolutely essential. Cannon Hygiene seeks to achieve the highest standards of washroom hygiene not simply as a political fulfilment but as one that is necessary for building users across the globe. The feminine hygiene units are slim polypropylene plastic units which have polygiene silver ion technology on the lid. This prevents cross contamination by killing bacteria on contact. 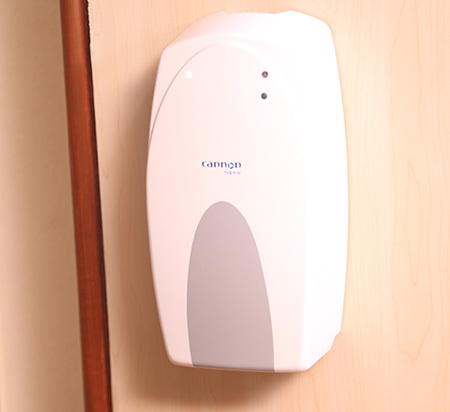 Unlike the other feminine hygiene units in the market, Cannon Hygiene units are fortified with Activap™ a unique “natural germicide” which renders the waste harmless to humans and is safe for our environment. 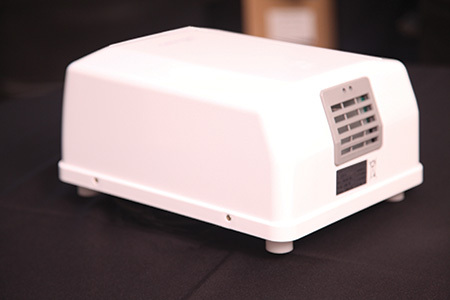 Activap™, a patented and certified technology, uses a unique vapour action to kill 99.999% of bacteria and viruses including Hepatitis B and C and HIV. 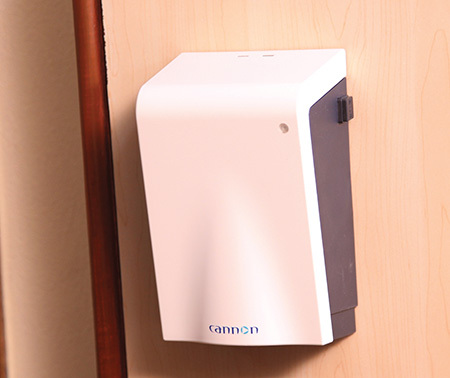 In addition to the unique germicide, Cannon Hygiene provides a “remove and replace” service. This means the feminine hygiene units are removed fortnightly or every month (according to customer need) for washing. They are replaced with a freshly cleaned unit. Thereby the unit does not sit in the washroom collecting more and more bacteria and adding to the problem. The unit has the capacity of collecting approximately 80-100 pads. “The units that are returned back are washed and sterilised before being put into use again. Often there is a misconception that washing of units lead to wastage of water and that just changing the inner lining is sufficient. This is not the case. If units are not removed and washed, they continue to pose a health risk. In terms of water usage all the 13 Cannon Hygiene service centres have an ETP plant equipped with a filtration system. This recycled water can be treated at least eight to 10 times before being released into the sewer system. Contrary to popular belief this system actually saves on water while the washed and sterilised units ensure complete decontamination. 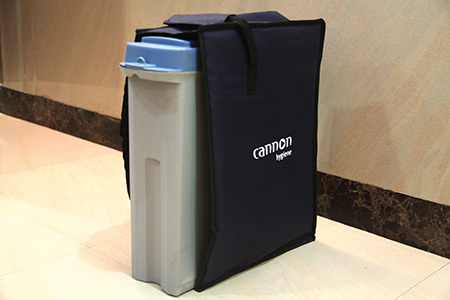 In 2011, Cannon India expanded into providing complete washroom hygiene solutions, including air fresheners, sanitisers, hand cleansing, hand drying, paper products, vending machines for dispensing sanitary pads, infant care and janitorial products. 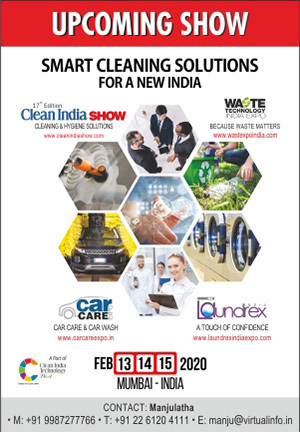 Operating from 13 cities and having a presence in all the metro cities, Cannon Hygiene India has now entered Goa and will soon be in Indore and Dehradun as well. 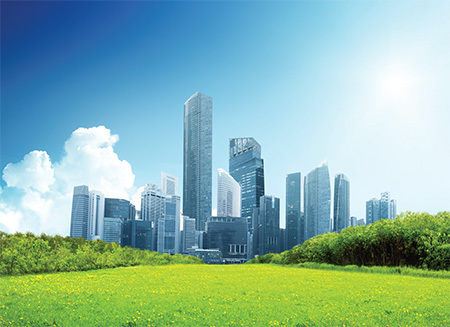 Evolved to deliver quality service, the workforce of 120 is certified and trained under Cannon Hygiene’s centralised programme advocating sustainability and servicing.